Ideal for food service, hospital equipment, laundries, dairies, furniture, appliances, electronic cabinets and more. Features 2 ball bearing swivel raceways and ball bearings in wheels also. Made of cold rolled steel and embossed for added strength - handles loads from 100 - 1000 lbs. Complete with protective plastic thread guards. 3/8" axles. Zinc plated. 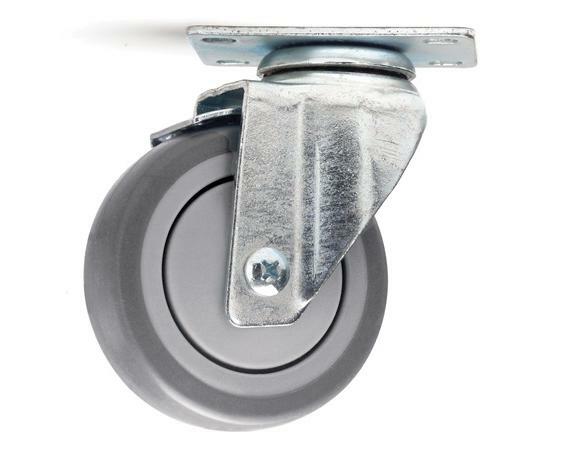 Rigid caster is solid, riveted construction, embossed for added strength. Type "TPR" is Durakush thermoplastic (soft) elastomer wheel. Type "Poly" is Miratek polyurethane (harder) wheel. Top plate size: 2 5/8"W x 3 3/4"L bolt hole spacing: 1 3/4" x 2 3/4-3". 5/16" bolt hole size. FOB Shipping Point. Rigid casters weigh approx. 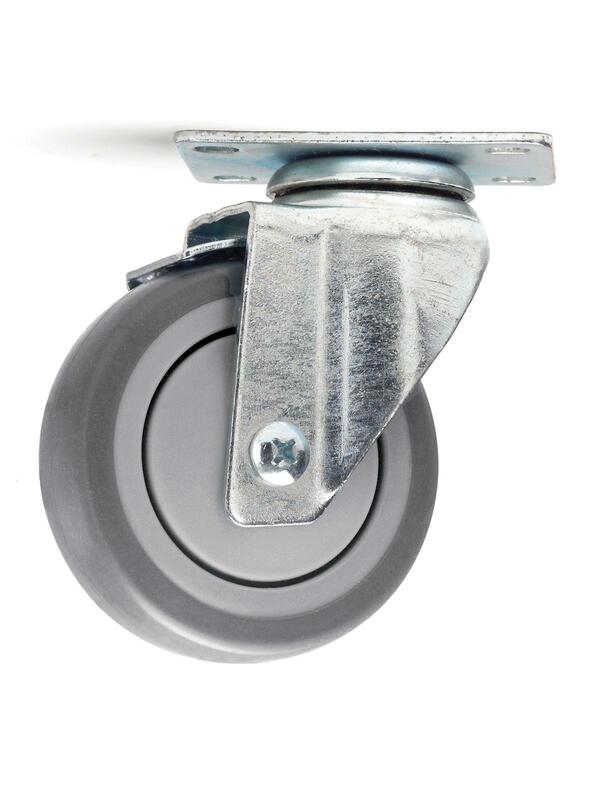 15% less than swivel casters.